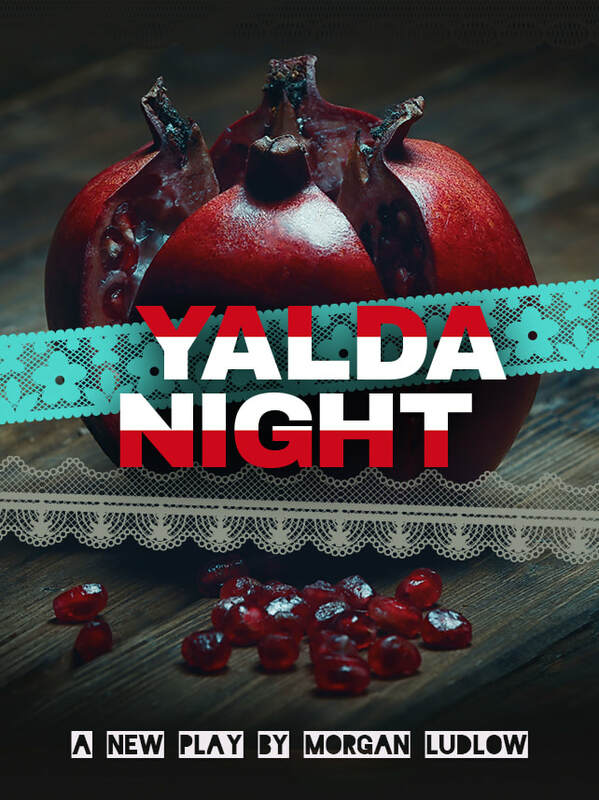 YALDA NIGHT a new full-lenght play! This year I am working on a new full length play, YALDA NIGHT. ​Zeina's American dream is starting to crumble as her family struggles in a Trump era America. Her sister is under threat of deportation. Her nephew, Amir, has returned, defeated and in a wheelchair after serving in the U.S. Army. Her niece, Mira, has cancer and has lost her high-paying job with Amazon. This Iranian American family is living on the edge of disaster. The family has come together for the annual solstice celebration of Yalda for the first time since Amir married Doug, his Army buddy. We follow the family through one heart-piercing evening as they confront their differences, reveal old secrets and find healing and hope in the poetry of Hafiz. Look for announcements for public readings and future productions here soon! Star crossed lovers at the Meadows Nursing Home leads to a chase in the woods to find four missing elderly residents. Four one-act plays around one family in Amarillo Texas. Back in Seattle I teamed up with Erin Ison to revive Pacific Play Company and we convinced fantastic local writer, Scotto Moore, to help us put together a writing team of local playwrights to write two shows for us. The team was: Kelleen Conway Blanchard, Justin Ison, Keiko Green, Juliet Waller Pruzan, Scotto Moore, Jennifer Lynne Roberts and me. We selected a crimes in space theme for our September show: CRIME & ROCKETS. I wrote a murder mystery romp in three parts titled, MURDER IN SPACE, where all the characters end up murdering each other. The show was directed by Jenifer Ross. In December we had a collection of cowboy noir plays TALL TALES OF THE UNNATURAL FRONTIER. I had two plays that made it into the show: HOME FRONT and WAITING. We decided to present two hit shows from SF. Stuart Bousel's EVERYBODY HERE SAYS HELLO! which I directed. It was hugely successful. And my first produced full-length in Seattle, RUTH AND THE SEA a holiday play about a fractured family coming together. Both plays ran to full or sold-out houses. This year has been an incredibly productive one and I am thrilled I had the opportunity to work with so many amazing artists. My plans for 2015 were particularly ambitious as I added a full production schedule for Seattle as well as San Francisco. I have produced 6 shows and 1 Staged Reading Festival. Many thanks this year go to my partner, Alex Yemat, and to my new theatre co-producer in Seattle, Erin Ison. In June I produced the Urban Legends Festival which was to be a new play festival of staged readings written to Urban Legends. Each week had a different focus. Week one: "Strange Death" Week two: "Epic Conspiracies" and Week three: "Peculiar Love." Unfortunately we had a 6 week deadline for the playwrights and so we didn't get a lot of submissions. But what we did get from writers was high quality and from some outstanding writers like Juliet Waller Pruzan, Beau Prichard, David Kulczar, Caitlin Gilman, Kelleen Conway Blanchard and Ben McFadden - and because of the programming hole I had several of my one-acts in: THE BLACKBIRDS, MYSTERIOUS WAYS, CRANIAL CAPACITY, THE TERRORIST, THE EDGE, FOR THE LOVE OF RADHA and WOMAN IN A BOX. It was great for me to see these plays again. Particularly LaChrista Borgers and Geoff Finney in WOMAN IN A BOX and Erin Ison, Tim Gagne, Jody Montes and Lily Cohen in CRANIAL CAPACITY. In July-August I produced two plays in San Francisco. The two plays were written in March from scratch. Our Head Writer was Jennifer Lynne Roberts and we selected our writing team: Laylah Muran, Jaene Leonard, Charles Lewis III, Melissa Keith, Bridgette Dutta Portman and Karl Schackne. We were looking to write two shows in rep. The first show was to be a series of one-acts and the other was to be an evening of monologues. Our writers selected two themes: the first human colony on Mars and the monologues show was about a monster who attacks San Francisco. This year we decided go for a single-story approach. ZERO HOUR: The Mars Experiment - which turned into a cohesive full-length play and I SAW IT which remained a monologues show. I created Marlene Solberg (the oldest person in space) which made it into ZERO HOUR and worked with Jennifer to glue it all together. But that show was mostly Jennifer and Bridgette's work and the rest of us contributed but my main contribution was Marlene. The monologues show actually had more of my work which I shared primarily with Laylah. While everyone on the writing team participated in creating both plays, Laylah and I ended up writing most of I SAW IT. It turned out to be a really interesting piece which got a nice write-up in the Huffington Post. We had a few people involved with the Mars One project come and see the play! ZERO HOUR received a subsequent staged reading in Chicago with New World Theatre Company. I have been working full-time for Pillar Properties since 2013. ​RUTH AND THE SEA in Seattle! Awesome production of RUTH AND THE SEA by Pacific Play Company under the direction of Maureen Hawkins! 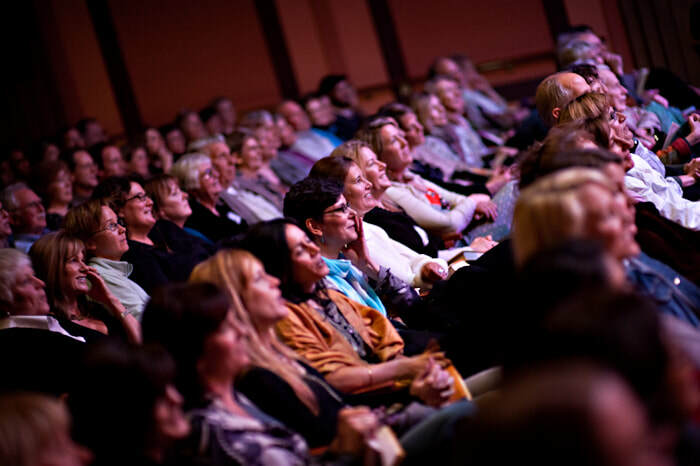 ​Stage Managed by Maren Comendant and Sandra Bobman. Sets by Brandon Estrella; Costumes and Props by Heather Bernadette; Lighting designed by Carolina Johnson and Sound Design by Lindsey Morck! ​Bay Area Theatre Critics Circle Award for Best Original Script! I am thrilled to be the winner of the 2013 San Francisco Bay Area Theatre Critics Circle Award for Best Original Script and I congratulate Ryan Hayes on his nomination for Best Featured Male for GORGEOUS HUSSY: An Interview with Joan Crawford. I stand on the beautiful, powerful, glittering shoulders of Susan Jackson, (who gave a phenomenal performance as Joan Crawford last summer) Brady Brophy-Hilton, (our amazing director who managed to give the play just the right touches of cinema), and Quinn Cayabyab (who gave the play just the right setting and lights). There would be no recognition or memory of the play without these outstanding collaborators.